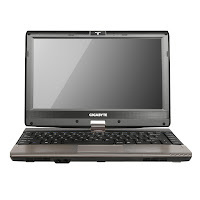 Gigabyte T1132N has a 11.6-inch HD Capacitive Multi-touch panel display, Intel HD Graphics 3000 & NVIDIA GeForce GT520M 1GB (Supports NVIDIA Optimus Technology), Intel Core i5-2467M Processor, Mobile Intel HM65 Express Chipset, 2 GB / 4 GB DDR3 memory (upgradeable up to 8 GB by using two slots), and 2.5” 9.5mm SATA HDD 5400 rpm (320 GB/500 GB/750 GB). There are a docking port, a USB 2.0 port, a USB 3.0 port, an eSATA/USB combo port, and 4-in-1 card reader (SD/MMC/MS/MS Pro) on this laptop. 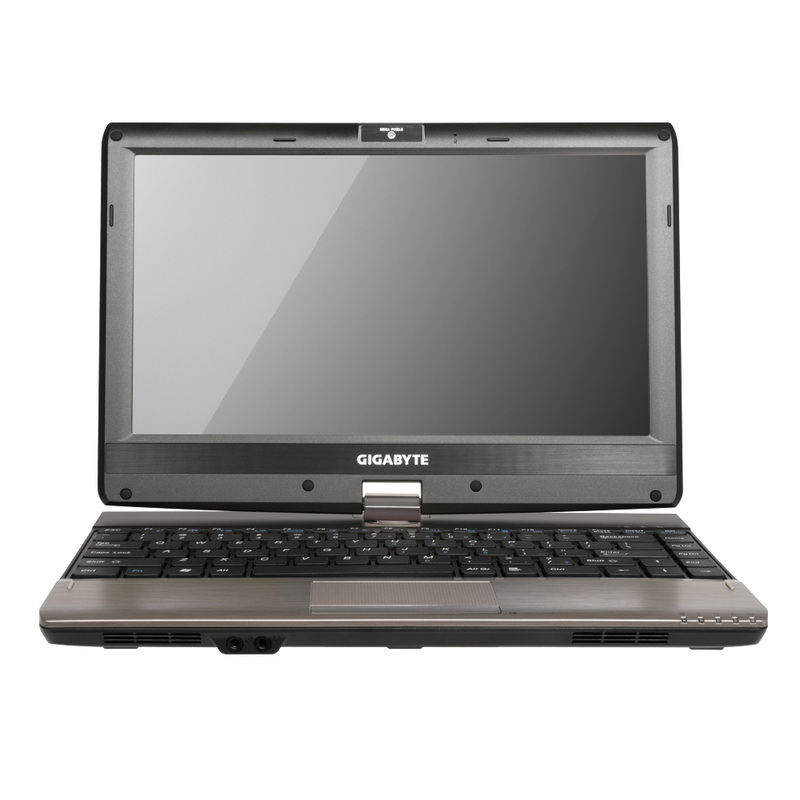 Other specs include 1.3 megapixel webcam, Bluetooth V3.0 + HS, 3.5G antenna built-in, 3.5G module supported (optional), 10/100/1000 Mbps Ethernet Base-T LAN, and 802.11 b/g/n WLAN.